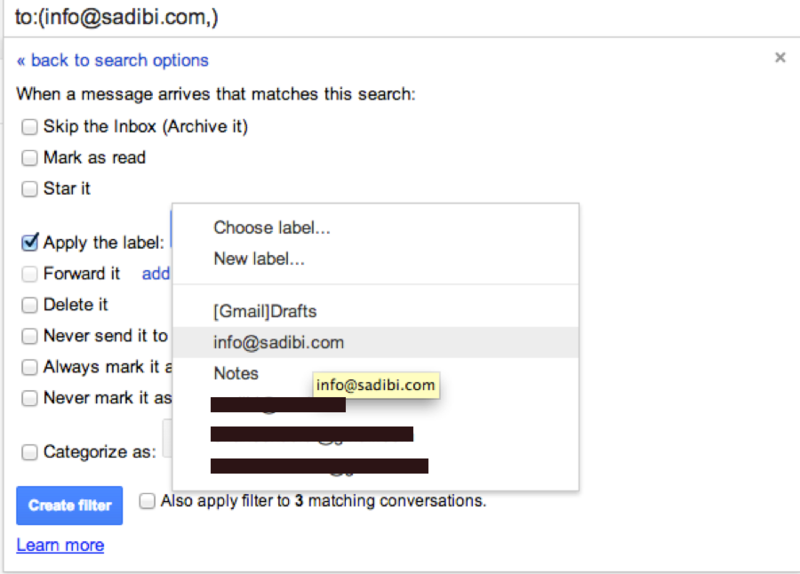 This is a visual guide for adding extra email accounts inside of your Gmail account. The process is pretty simple, but can feel daunting the first time. With a little help from your Webmaster or thumbing around on your domain host's control panel, everything should be pretty easy to find. Where steps may be a little confusing I have added in red arrows, and this tutorial mimics the creation of personal [email protected] email account. Good luck, but hopefully you won't need it. 1. Open your account settings, which should be under the gear in the top right of the screen. 2. When you open your setting you should be in the "General" heading, typically in bold, you should then click on the "Accounts" section. 3. Then where it says "Send mail as:" click on “Add another email address you own.” As you can see I already have several older email addresses aggregated into this single gmail account. 4. Next a yellow screen should pop up. In the “Name” field fill in the name you would like to identify this account by. 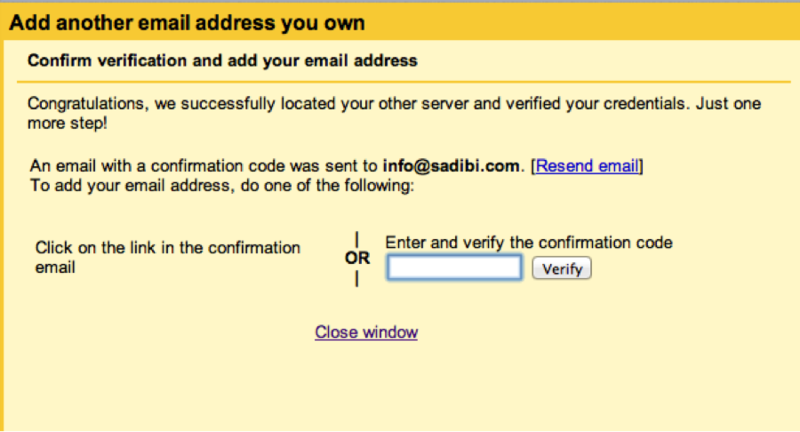 Then for "Email address," type in the email address of the account you are trying to currently add. Whether or not you select "Treat as an alias" depends on a pretty simple consideration, and your choice is reversible. 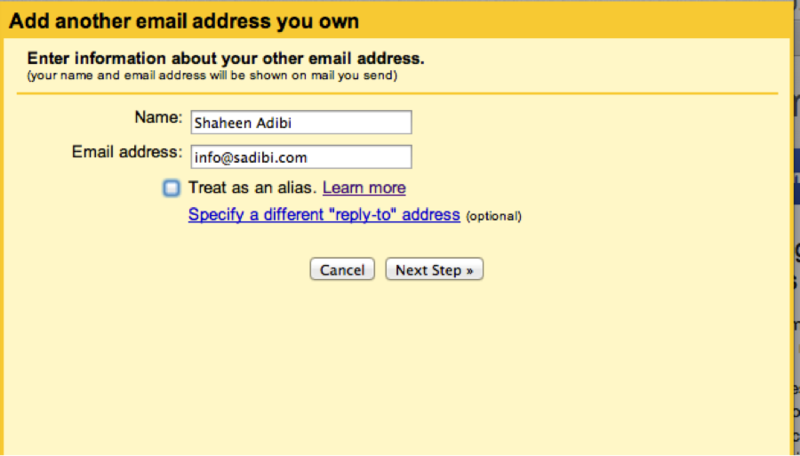 If the email address essentially represents yourself you should choose to alias the email address. You should deselect "Treat as an alias," if the account you are adding represents another entity, like a colleague or organizational communication system, that you receive and occasionally send messages through. 5. There are two ways to do the next part and I recommend the second slightly more complicated one. 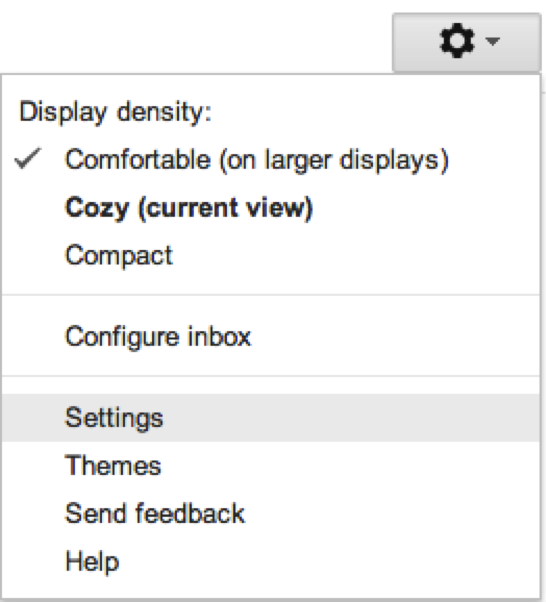 The easiest option here would be to click “Send through Gmail" which pretty much jumps you to step 6. If you are wondering there are two reasons not to go this route, the first is that in a large organization, if you eventually have an issue with an employee that no longer works at a company this option gives your Webmaster more control over that email and can keep rogue employees from misrepresenting the company. The second reasons is that in some versions of Outlook when people receive emails from the account we are setting up it may display both of the email addresses to them, which partially defeats the purpose of all of this. 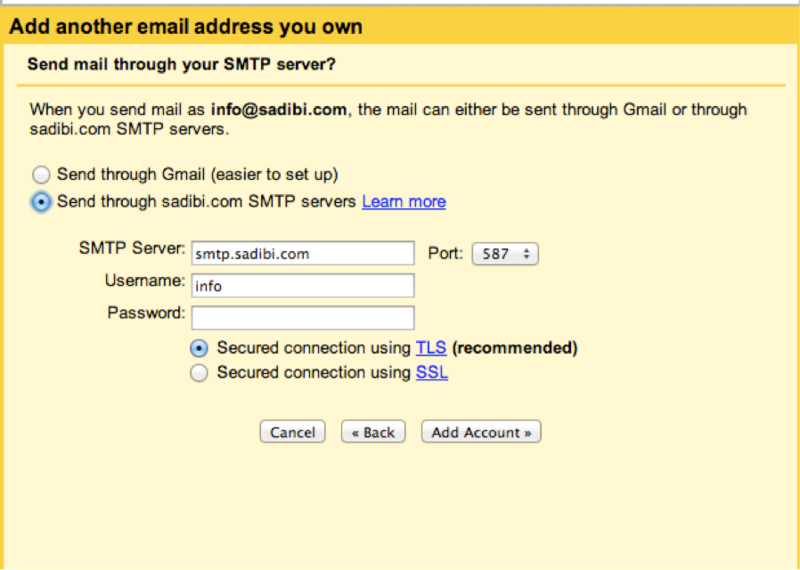 But I highly recommend you select the second option, "Send through sadibi.com SMTP servers," the "sadibi.com" part will depend on your own domain name. If you are using your domains SMTP server this is the only complex part, typically your Webmaster should be able to quickly tell you this information. It will typically be listed under something to the effect of “Mail Client Configuration” in your Web server control panel. If your host supports it select, TLS, which is basically the newer version of SSL, but SSL should suffice if your host does not support it. First fill in the SMTP server info, as well as Port number information, and then your username is either the full name of your email address or just the hook for your account. For most people this will be either mean typing in "info," or "[email protected]" if we are using my account as a reference. This just depends on your host. 6. 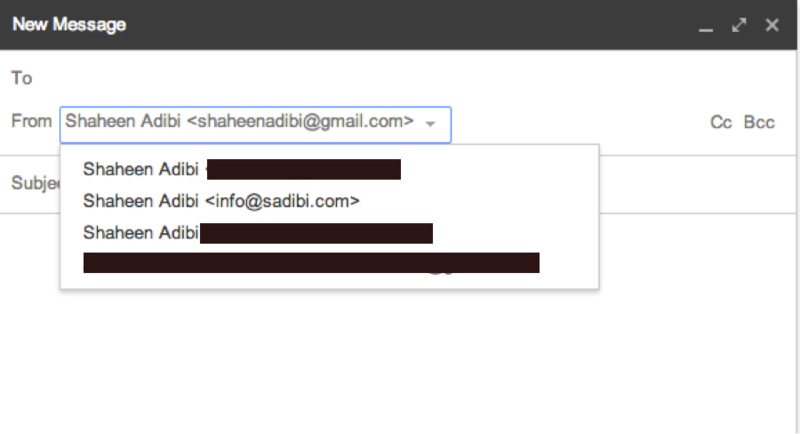 Then Gmail will send a confirmation email to the email account you are attempting to add. Wherein you can either click the provided link to confirm, or copy and past the code in that email into this window. 7. If you attempt to write an email, you should be able to see your fully functioning email address that you can now send messages as if it were "From" that account. 8. Next, I would recommend setting up a filter for your newly added email address, that way you can keep your primary email address separate from the emails sent to your newly added email address. First go back to Settings, as you did in Step One, but this time click on the “Filter” heading, scroll down to the bottom if necessary, and click on the “Create a new filter” link. 9. Next the screen below should pop up. 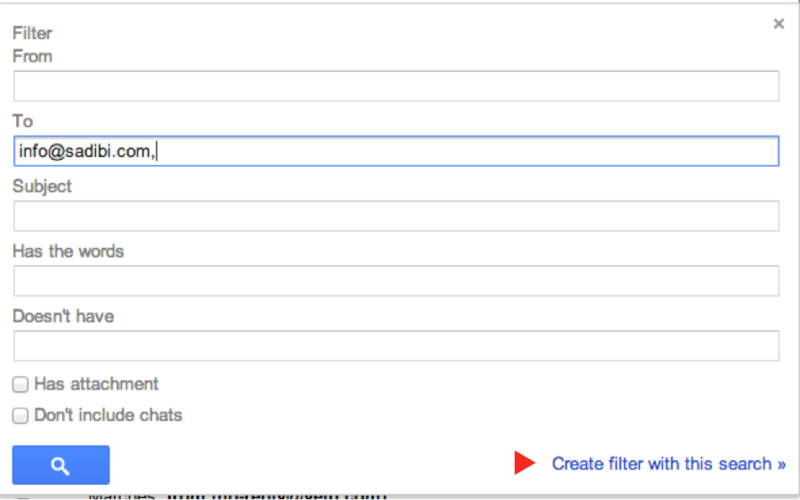 In the “To” part of the form, input the name for your newly added email address. Remember, we want to target emails that are sent to this email address, then click on the “Create filter with this search” link. 10. Afterwards a screen which looks much like this should appear. Select “Apply the label” and then select the email you have just added, finally press the “Add Filter Button.” And we are done, now all of the emails sent to this account should appear as a heading a little lower in the same main left column that contains your "Inbox," "Sent Mail," "Drafts," etc and it will look like the Inbox you are used to.